10/20/2016 - It has literally been years since I have had a chance to say this BUT: a new (the first of this branch actually!) version of Pokemon Neo is available for download! Public Release 1.0 is ready and is largely a tech and story release; the basic structures are all in place, the basic story started, a lot of the initial groundwork done. LOTS will need to be done still to finish out the story and the Pokemon assortment, but you can see a lot of the changes ahead playing through this rendition! My name is Nate, daMoose52 of Project Neo. I used to be an active hacker in the days of PR Translations, PPN, etc. 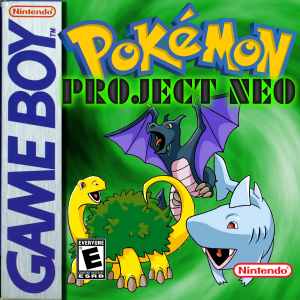 about fifteen years ago and was of the first to add Pokemon to the game with our last released patches for our games, Pokemon Neo: Adventure and Pokemon Neo: Rocket. That last patch was released in the spring of 2001 and was buggy as all get out though we had cracked a lot of the rules for adding Pokemon to the game well before even the underlying structure was commonly known. A few weeks ago, I came across an article discussing MISSINGNO on Kotaku, which I read to my amusement. Sort of right, but they had pared a lot of it down to the point it wasn't quite right. It did link back to an article, however, on Smogon that apparently links back here, which was accurate and I thought a neat breakdown. 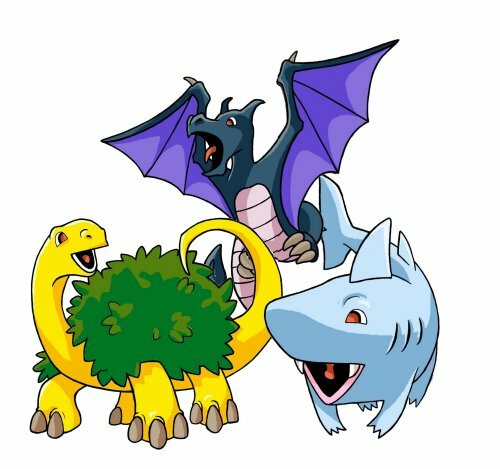 It struck me, however, in the article that they covered what I realized was our last, missing, piece from back in the day: the bank pointer for the Pokemon stat block, the last piece we needed to add stable monsters to the game. I was psyched, dug out some of my old notes (several computers later) and tested it out and it worked perfectly. Further digging eventually led me here, to the disassembly and the advancements made with that raw source. I am both in awe of the work put in, knowing how hard we worked to get what little we did, and excited because of the possibilities unlocked. In a short bit of time, I've managed to recreate the majority of the system work we did on the Neo games with the help of the assembly files here; its both entertaining and sad how much I was able to do in a week or two on my own that took a full team a year plus to do. With the new options available, I'm using some spare time to finish out the original Project Neo game with the features we could only dream of back in the day. I'm a little excited so I'm making the announcement here a touch early, will add a few screens and will keep it updated! - Adventure (Red Hack): I'm planning on continuing the Adventure hack for certain. The Rocket version is a probability but if I do it the way we wanted to do it back in the day it will take a bit of extra work. - New Pokemon: The original NeoDex made use of the MISSINGNO slots, so the game plan takes it up to 190 Pokemon, though with the new options I could take it higher. A few choices may seem odd, but I'm keeping a lot of the original designs. Several are related to existing Gen 1 monsters, several are "PokeGods," as one of our original intentions was to make the myths and rumors real. (Yes, this includes the fabled Mist Stone, though I wager a number more hacks exist today with that). A few images are recolors of existing sprites, will likely make up some new ones. - Updated Sprites: This one I did just for the fun of it; I took all of the GB/C generations, picked the art I liked the best, and use those images for the sprites. - New Items: Some new items to facilitate the original concepts. - New Maps: A couple of new cities, new routes, reworking a lot of the existing map work. - Now-Common System Hacks: Still reading the forums for the neat ASM tricks that have been learned, but I'm adding some of the now common and well liked features as well. Gender, larger backsprites, some of the under hood bits, etc. 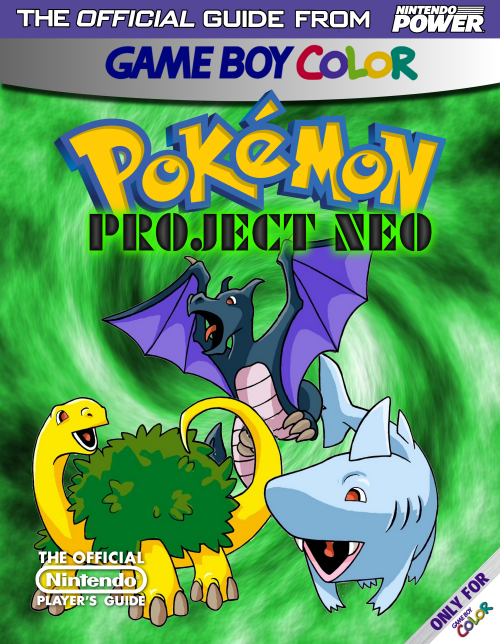 Storyline: Project Neo was started in 2000, specifically to add Pokemon to the game and well before a lot of the established canon we know now. The story is set just after Red's victory as Pokemon Champion. Pallet Town has become a proving ground for new trainers, leaving Oak to expand his facilities and for Pallet to expand to accommodate the influx of new trainers. Blue has stepped up as a new Gym Leader, taking the place of Giovonnie who has renounced his criminal ways, disbanding Team Rocket, and opened a new venture, Rocket Co. Silph Co has been driven under by the competition, leaving Oak without his primary sponsor and suspicious of Giovonnie. At the open of the game, Oak is missing. A curious individual, someone in a white Rocket uniform, has appeared in Pallet espousing the return of Team Rocket under their own guidance. Calling himself "Alexander," he has made his way into Oak's lab to steal a new generation of Pokemon with the aid of a young trainer in Pallet. Another of Oak's students, however, will not stand for this and challenges the two. And herein begins the respective games: As "Neo", you adventure to put a stop to Alexander's sinister plans and hope to find Oak. As "Eon", you travel in support of Alexander's vision to restore Team Rocket to its former glory. - Viridian PokeGod Shine functional with battle scripts! I'm back to work, developing and tinkering on Project Neo. Got a small site up to track announcements and information about the hack. When we first developed Project Neo we crafted our own set of starter Pokemon; when we stopped work, we kept tinkering with the original elements to use them for additional projects. I recently turned up some commissioned work for one of those with our starters: Boab, a plant/dinosaur; Sharcub, a dog/shark; and Flamix, a drake-like monster. That looks cool! Can you do some work on a guidebook I'm planning for my hack? For the front cover of the guidebook for my hack, I'd like to see something resembling those for Gen I and Gen II guidebooks, with Charizard (representing the Red Version), Venusaur (representing the Green Version), and Blastoise (representing the Blue Version), all as drawn by Ken Sugimori back in the '90s. On the back, I'd like to see Bulbasaur, Charmander, Squirtle, and Pikachu (all as drawn by Ken Sugimori back in the '90s), and also drawings of Red, Leaf, Blue Oak, and Professor Oak, as well as room for a couple of screenshots or so, each indicated by a color that doesn't appear anywhere else in the image. This far, ALL of the templates I'm making are at a 300 DPI print quality, so they should look sharp "in real life." ,plz let me play it. Anyone looking to play can play one of the last builds by following the link in my signature; I have not otherwise made the game available for download yet. - Sorted the data to Pokedex order; this has introduced some elements and issues of its own I'm working through. - New Maps added include some small ones; "Samurai's Cabin" in Viridian Forest, "PokeGod Shrine", "BLUE's House", and the first "RocketMart" in Viridian, with an overhaul of the Viridian PokeMart. I'll make the new patch available online shortly once I iron out a couple other bugs. - Scripting; got several early-game scripts working the way I want them to. Rewrote the introductory scripts and the trip to Viridian City. Honestly not sure; I've been doing all of the work with the disassembly code and its been forever since I actually worked with a patching program. When I put it up, it'll probably be the whole ROM; by this point, it bears little resemblance to the original code under the hood. This is setup as a playable demo to introduce the game and setting. There is a LOT of detail work to be done, but this is a lot of the engine elements I wanted to have to work with. The demo is playable up through Vermillion City which, given the game right now, isn't all that far in. Does Sharcub not have level-up moves? I got to Level 16 by the end of the beta and didn't gain anything. I also noticed the town-map hasn't been changed yet to reflect that new Route X.
Congratulations on getting far enough to be able to release a beta! If the project has been in development as long as you say I'm sure it's a great accomplishment to finally release something for it. I haven't had a chance to play much yet. Noticed a text overflow error in Pallet when the player declares that there's nothing in that direction. You didn't leave enough space for the max name length, so having your name as NICOLE in my case caused text to overflow onto the border. Simple fix. Haven't run into any major problems though, seems nice so far. - Mmmmmm: No, no level up moves yet in place and nope, no updates to the town map yet. Like I said, this is a lot of the engine updates and some of the story elements to kick it off. I've been at this for two years in effect now, so I thought I'd put *something* up after all this time ^_^ Here's the last patch we released: http://www.zophar.net/hacks/gb/pokemon- … re-44.html...the date on the files is 10/28/2000!